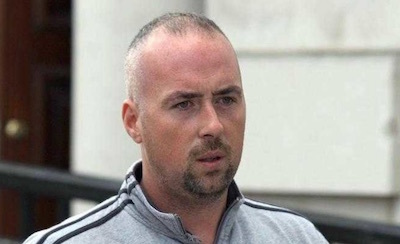 The McGlinchey family of Bellaghy suffered tragedy anew this week with the sudden death of Declan, a lifelong republican activist who died of a suspected heart attack on Sunday. He is survived by his wife Brenda, seven children and brother Dominic. 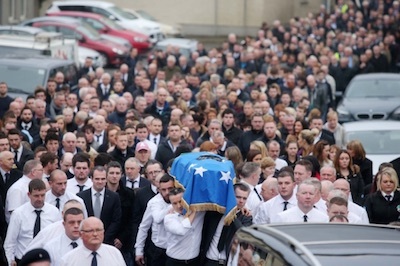 After a final salute with a volley of shots to mark his contribution to the armed struggle, there was a large and diverse attendance at his republican funeral in Bellaghy on Wednesday, with a guard of honour provided both by the GAA and by his former comrades. The following obituary was released by the Irish Republican Socialist Party. It is with great sadness and no small degree of shock, that the IRSP confirm the sudden and tragic death of Comrade Declan McGlinchey. To his wife Brenda and their children, to his beloved brother Dominic and indeed to his entire wider family circle, we extend our sincere condolences. Declan will be most fondly remembered – around South Derry and beyond – as a down to earth family man who lived for his wife and children, as a Loyal and committed friend, as a hard worker and a committed follower and member of Bellaghy Wolfe Tones GAC. He was also a committed revolutionary, espousing every day of his life the ideals which he inherited from his mother and father; comrades Mary and Dominic McGlinchey. 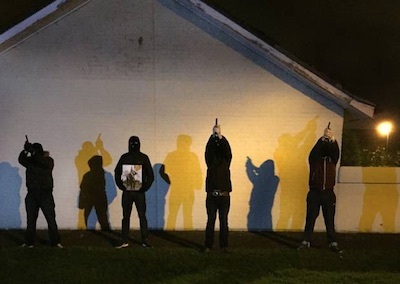 Irish Republicanism ran through Declan’s veins, he was acutely aware and proud of South Derry’s tradition of armed resistance to British occupation, a tradition in which his family had played a significant part in maintaining. In recent years he worked hard to mark and remember the role which his parents played in the Irish National Liberation struggle, culminating in this year’s extremely successful ‘McGlinchey memorial weekend’, a now annual event attended by revolutionaries from across Ireland and beyond and an event which we hope will now continue in Declan’s name also. Declan himself was also a committed participant in the struggle for Irish Freedom. His journey as an activist saw him taking a ‘hands on’ role within the Republican movement, a decision which at the tender age of 16 saw him occupy a Portlaoise prison cell, right next to that which had been home to his father as a POW. In later years his activism brought him no small degree of state harassment, arrest and indeed had brought him through the gates of Maghaberry Prison. Yet to Republicans across Ireland – both Volunteers and activists alike – he was known as a man that you would want by your side, in good times and bad, and he faced down the hazards of struggle like he hadn’t a care in the world. In later years, Declan’s political journey saw him return to the ranks of the Irish Republican Socialist movement, the movement which had been the proud home of his beloved mother and father. Confiding in those closest to him, Declan described his decision to join the IRSM as being akin to ‘returning home’. In recent times he had set about building his political home into a rejuvenated and capable Revolutionary force in the wider Bellaghy area, committing himself totally to structuring, networking and lobbying on behalf of the movement, increasing its ranks, raising its profile and re-establishing the IRSP as a credible and noteworthy force in South Derry and beyond. Few if any Republicans will need to be reminded of how both Declan and Dominic were dealt the hardest of cards early in life. Few can imagine the cruel ordeals which they were both forced to deal with, not only in the dark days of 87’ and 94’ but indeed every day and on into the rest of their lives. Yet Declan faced these ordeals, and in a fashion which displayed not only immense courage but also grace and indeed compassion, always eager to equally stress the hurt felt by all those – who in the course of conflict – had experienced similar tragedy. For all those who knew him, it will be this attribute, his unique ability to endure hardship and simply get on with life which will be his lasting legacy. Declan McGlinchey was a credit to his parents and to the Irish Republican Socialist Party, and we take this opportunity to salute his memory.